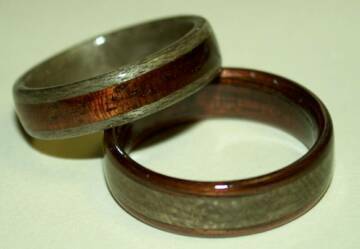 These Koa and Greyed Maple wood rings are 5mm and 6mm wide, with gently rounded profiles. The greyed maple with koa inlay below is a flat profile. If you like this design, feel welcome to specify a darker or lighter toned koa wood. 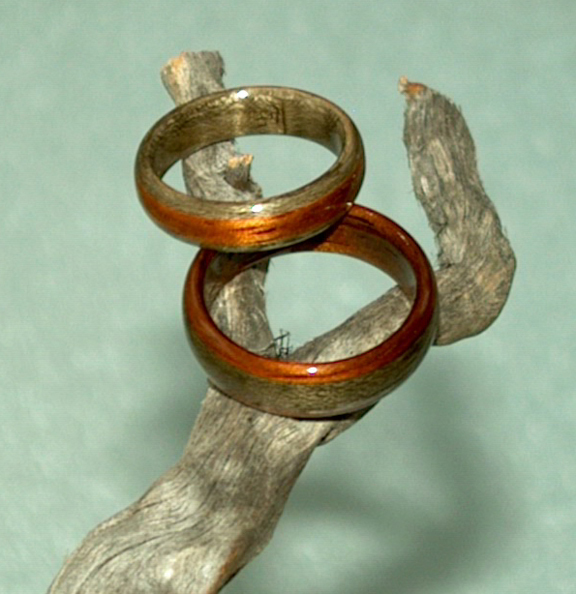 This set of wooden wedding rings is created by reversing the Koa and Greyed Maple wood.